So happy with the purchase! 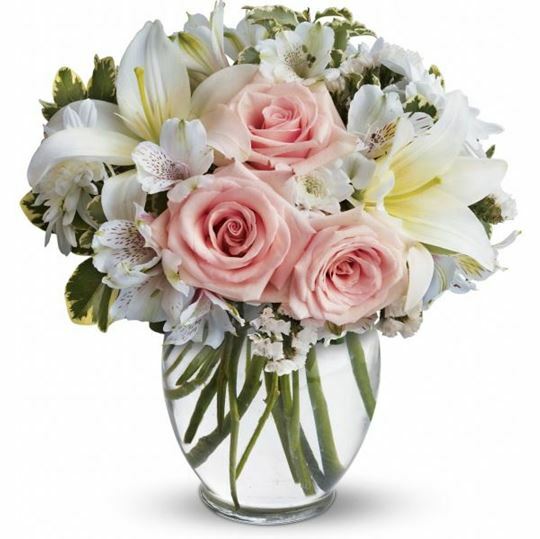 The flowers, especially the pink roses were so beautiful! Got these for my mom. They were stunning and the arrangment was bigger than I expected! Cute little arrangment. The flowers smelled and looked fresh! Never ordered from here before but would totally do it again. The family loved 'em. These brought a smile to my Mom's face. I'm happy I went with this order. So beautiful! 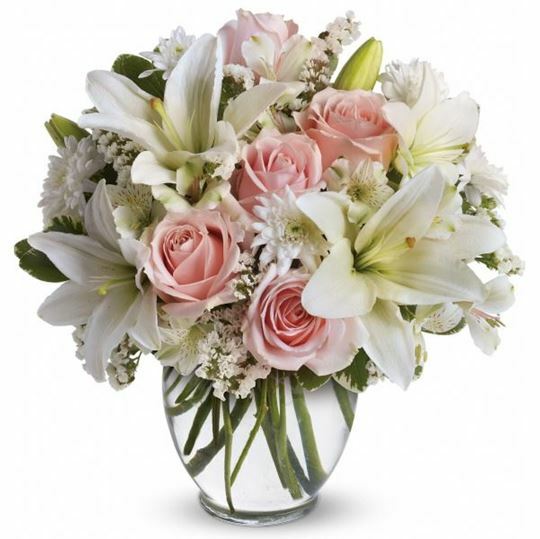 Beautiful roses and lilies. Very happy with our purchase! I was surprised with how quick they can make and deliver the arrangment. Our arrangement was well received. I would definitely recommend to anyone! The site was super fast and easy to use! We sent this to our friends in Kansas. They sent us a picture when it arrived and it looked perfect. They were very happy with it! This was great! Service was simple and we had all our questions answered by the customer service department. Happy we ordered! Very happy with this purchase. They were able to deliver our flowers fast!! Got to the funeral home in time. Pretty simple ordering to use. THANK YOU! 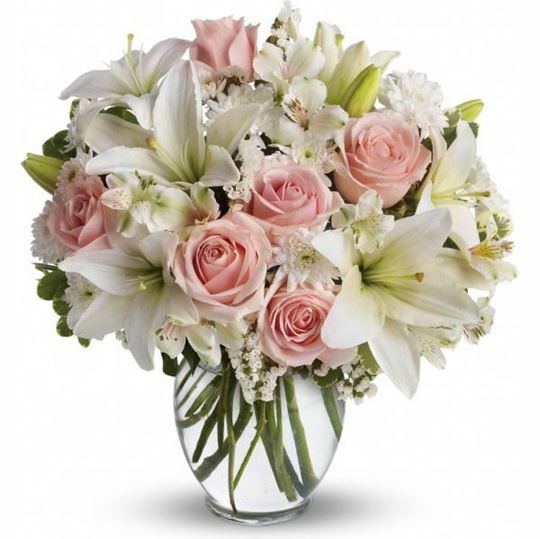 we needed flowers sent asap and this service was very helpful. Loved it! Bought them for my Aunt's service. Her family really appreciated them! Looked lovely and fresh. Very happy with this arrangement. the size and colors were just perfect! I'm very happy with our purchase. It was a beautiful arrangement!